who was allergic to dust. Funny Fairytales are a twist on the old beloved Grimm and Disney Fairy Tales. They are fun short stories people can read in a couple of minutes when waiting for the bus or on a train ride. Work just like an app, with story plot changes, new adventurous characters, mysteries and danger. You know this story… or do you? How about a little twist? Read the story of Snow White as never told before! With the vicious queen Anagrola, the confused and sarcastic mirror Shraga, and the most gifted seven men you’ve ever met. Funny Fairy Tales is a new series of SNACK-BOOKS, mini-funny and fun fairy tales for adults. Excellent books for trains, planes and on the go. There once was a magician, a magic mirror, and Anagrola. Anagrola was unhappy and talked the magician into giving her his magic mirror, Shraga and let her go marry a king which he did after a lot of debate. But Anagrola was still unhappy and focused on her looks and bothered Shraga all the time. He finally told her that Snow White, the kings daughter from a previous marriage was prettier than her. 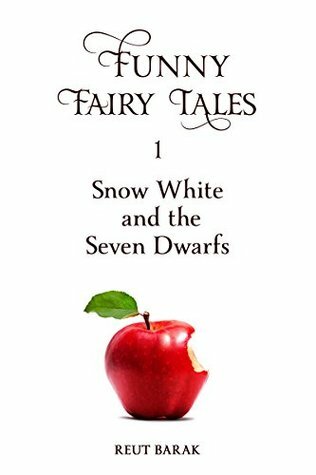 Anagrola get jealous and tries to get rid of her but Snow White finds employment with seven dwarfs that need some serious management. But when Anagrola learns Snow White is still alive she sets out to try and poison her with several apples. This is a cute retelling of Snow White. Personally I like the mirror and could see him planning some way to knock himself off the wall in an attempt at suicide. Anagrola was spiteful and vain and takes it serious when Shraga tells her Snow White, who is no beauty in this story, is prettier than her. Of course the dwarves are hilarious and the whole using an apple to try and kill the girl was over the top. My only complaint was this book says it is 157 pages long but it only has one sentence or less per page. It was annoying having to turn the page every sentence. But this is a cute retelling and a quick read. 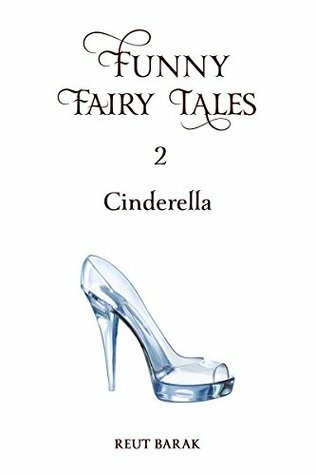 Read the story of Cinderella as never told before! With the mysterious blue fairy godmother, the cunning step-sisters, and a woman, who for the life of her, just can’t stop cleaning! Cinderella has a wonderful family life with two caring step-sisters, a step-mother, and her father who is out exploring. But she is allergic to everything and keeps herself locked in the attic where she can keep it clean, make everyone’s cloths, and go insane. Her sisters feel sorry for her and hire a sorceress to enchant Cinderella so she can attend the ball where the prince is looking for a wife. All seems to be going well and they are to be married when the sisters become jealous and have the spell reversed. This is a cute story. Cinderella is nuts from her allergies yet has a chance at a normal life. Too bad her step-sisters become jealous and reverse the spell. I really liked how the sorceress is named Alice and can create rabbit holes to change people’s lives. This is a quick read and will take you more time to click through the pages than to read the entire story. But it is a good retelling of Cinderella. She was also allergic to cat hair, pollen, mould, nuts, soy, and latex. She lived in the attic, which she kept sterile- clean. She would rarely get out, because the house had a cat and she was allergic to cat hair. She would keep the windows shut to avoid the pollen. She tested her food to avoid nuts and soy. She chased the microbes, and the dirt and the germs and the insects, and walked around with a small broom, ready to use. In short, she was nuts. Read the story of Red Riding Hood as never told before! With the hood that leads to fame and fortune, the mysterious wild wolf, and a grandmother so evil, she could rewrite the history of sin. Red’s not little anymore! Red’s grandmother was a nasty old woman. She was so jealous of her granddaughter that she tried to embarrass her with a bright red hood and told her horror stories of wolves. But when red hoods became the fashion Red got very famous. Then the press learned about her grandmother and Red tries to go on the run. She runs into a wolf and trouble ensues. The grandmother is an evil and jealous woman and took joy in terrorizing Red. When Red gets famous of course everything goes well until her past comes into play and everyone starts looking down on her. I loved the whole mix up with the wolf and the mushrooms. I really like where Red ended up and especially her grandmothers new location. 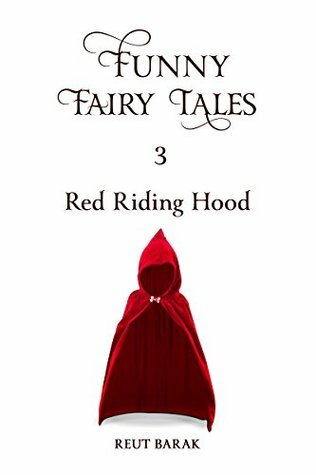 This is a quick read and a good twist on the classic Red Riding Hood story. It is really short and I think you spend more time turning the pages than reading the story. But it is a cute retelling and a quick read. 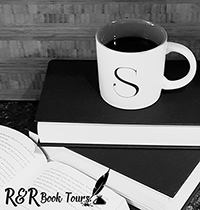 I received Funny Fairy Tales from the author and Reading Addiction Virtual Book Tours for free. This has in no way influenced my opinion of this book. When Red finally reached her grandmother’s cottage, it was noon and she had eaten a collection of mushrooms she had never seen before. She was also seeing colors she had never seen before. The cottage was quiet, and the door creaked when Red unlocked it. Red walked in slowly. She was dizzy, but she managed to walk straight into her grandmother’s bedroom, and approach the bed. Her grandmother seemed somewhat different. For starters, she had very big eyes. Red never noticed that before. Her grandmother also had fur. There was something funny going on. She couldn’t quite put her finger on it. She thought she might as well say something. Reut Barak is a freelance journalist, previously published in National Geographic online. She has an MBA from the University of Oxford, and has worked and traveled internationally. This is her first book series. Reut was born in Camelot in the year 1201, following the famous explosion of the northern dragon tower. She has a degree in fantasy and science fiction from the University of Atlantis and this record can be found in the central library, now twenty thousand leagues under the sea. She likes phoenix riding, dragon fighting and painting the roses red. Enter for your chance to win a $50 Amazon Gift Card.